Looks like it's sporting an afro. Mohamed Salah has had a new species of ant named after him by Mostafa Sharaf, Professor of Ant Systematics at the King Saud University in Riyadh. It’s not entirely clear whether the Professor is a fan of the Liverpool star or if he named the ant so because it looks like it’s sporting an afro. An ant from Oman has been named after Egypt and Liverpool star Mohamed Salah. It's called Meranoplus Mosalahi. The ant has since gone on display at the World Museum in Liverpool. In any case, the ant, which he discovered while on an expedition in Oman, has been put on display at the World Museum in Liverpool. 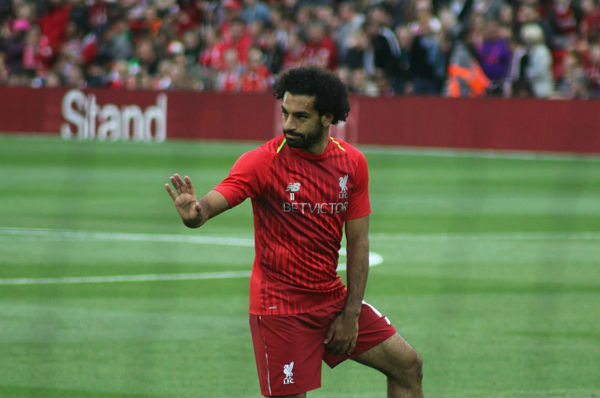 Professor Sharaf has given it the genus name Meranoplus Mosalahi in honour of the Egyptian hot shot, who’s enjoying another stunning season at Anfield. His 16 Premier League goals make him the division’s top goal-scorer as well as firing Jürgen Klopp’s Reds to the top of the table. He was recently named African Footballer of the Year off the back of his 44-goal debut season, which saw Liverpool reach the Champions League final.